Podejrzewam ze będzie to coś w segmencie IC-7610 i na tym pułapie cenowym 3 lub 3,5 tys euro. zapomnieliście że dwie paczki fajek (rocznie) "zjadły"
Jeśli przyjąć ze 590S jest następcą 570s a 990 następcą 950SDX to ten model byłby następcą 870? Tak to rozumiem, w razie czego poprawcie. Jak widać wiele trx-ow nie doczekało sie następcy. KA5DOB in Alamogordo new mexico was on 20 meters today talking about a new Kenwood hf sdr rig coming out around the end of 2018. His qrz.com page mentions that it will be similar in some aspects to the icom 7610. The new Kenwood radio includes a 7 inch display same as the icom 7610. I was told the radio will be a model between the 590sg and the 990S radio. It will be a 100 watt radio. I'm assuming it will include a SDR receiver. I see that Apachi Labs has a new 7000D radio out in this same level of radio. Feb 7, 2018 update. The radio won't come out till the Fall and Winter of this year. I don't need two receiver so I may wait for the new radio that will replace the 590sg. The above was copied from the ka5dob qrz page, I'm just the messenger. The Kenwood radio won't be for sale till the Fall, or Winter of this year. 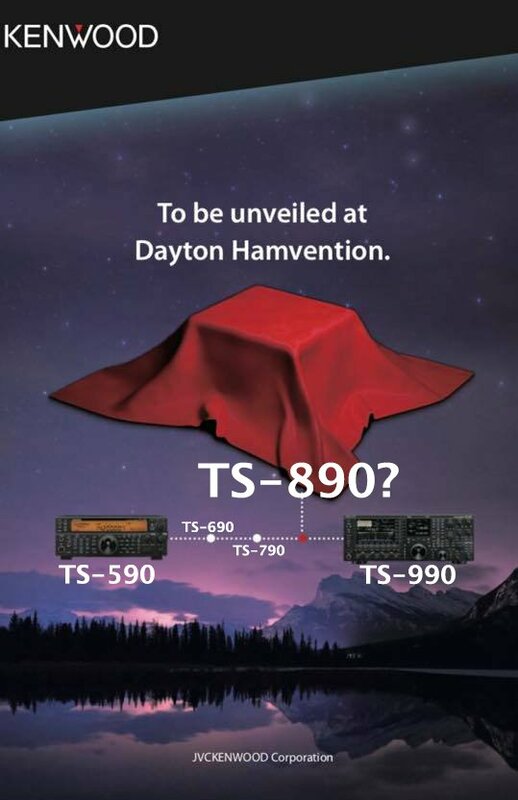 shows it may be a radio between the IC-7610 and the TS-990S.